Für andere Stuart-Panzer, siehe Stuart (Begriffsklärung). Der M3 Light ist ein sowjetischer premium leichter Panzer der Stufe 3. Der leichte Panzer M3 wurde zwischen 1938 und 1941 auf Basis des M2 entwickelt und ging 1941 in Serie. Insgesamt wurden 13 000 Fahrzeuge in verschiedenen Ausführungen (M3 bis M3A3) gebaut und an die meisten Verbündeten im Zuge des Leih- und Pachtgesetzes geliefert. Die Sowjetunion erhielt von 1942 bis 1943 1 232 M3 Stuart. Die ersten wurden im Mai 1942 in der Schlacht bei Barwenkowo nahe Charkow eingesetzt. It was previously available to new players for completing the in-game training course. Codes for this tank for the EU server were also handed out by Wargaming at Tankfest 2013 and HM Fest 2014 (in Hungary). 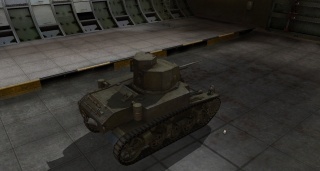 It's slightly better than a stock M3 Stuart, but inferior to one that's been fully upgraded. Even so, don't underestimate this tank, as it still has decent top speed and a fast-firing cannon. The short signal range and poor view range makes it less beneficial as a scout than it otherwise could be. However, it is a effective flanker, and it has a fast firing cannon but low penetration, so shooting at the sides of enemy tanks is a must. From the summer of 1942, when enough US medium tanks had been received, the British usually kept Stuarts out of tank-to-tank combat, using them primarily for reconnaissance. 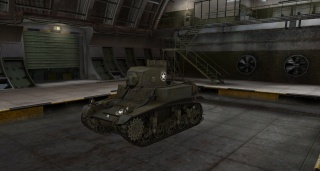 The turret was removed from some examples to save weight and improve speed and range. These became known as "Stuart Recce". Some others were converted to armored personnel carriers and were known as "Stuart Kangaroo", and some were converted command vehicles and known as "Stuart Command". M3s, M3A3s, and M5s continued in British service until the end of the war, but British units had a smaller proportion of these light tanks than US units. The other major Lend-Lease recipient of the M3, the Soviet Union, was even less happy with the tank, considering it undergunned, underarmored, likely to catch fire, and too sensitive to fuel quality. The narrow tracks were highly unsuited to operation in winter conditions, as they resulted in high ground pressures under which the tank sank into the snow. Further, the M3's radial aircraft engine required high-octane fuel, which complicated Soviet logistics as most of their tanks used diesel. However, the M3 was superior to early-war Soviet light tanks such as the T-60, which were often underpowered and possessed even lighter armament than the Stuart. 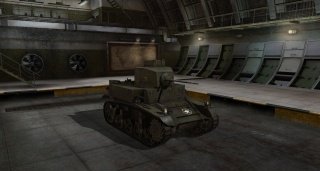 In 1943, the Red Army tried out the M5 and decided that the upgraded design was not much better than the M3. 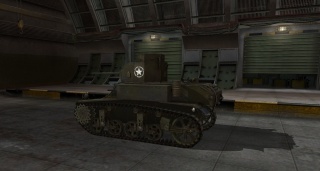 Being less desperate than in 1941, the Soviets turned down an American offer to supply the M5. M3s continued in Red Army service at least until 1944. Diese Seite wurde zuletzt am 27. März 2017 um 11:16 Uhr geändert.